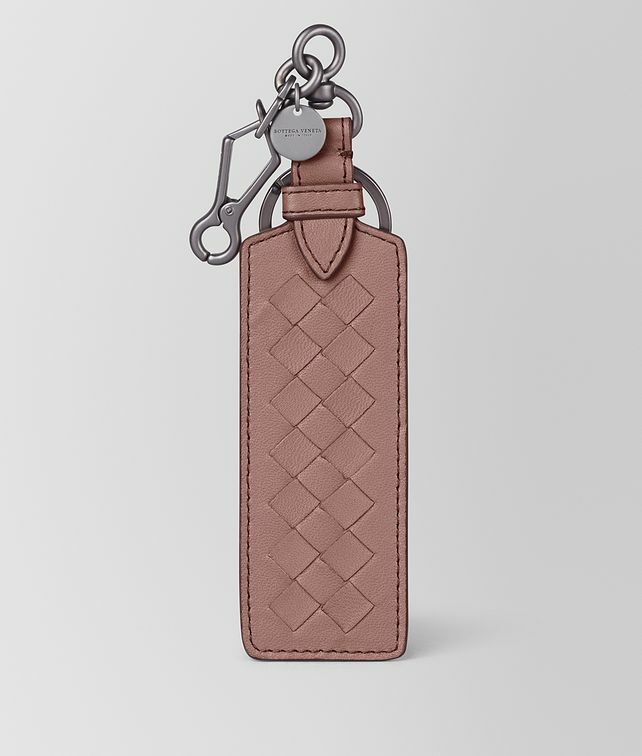 This elegant rectangular key ring is hand-crafted from soft nappa leather and detailed with our signature intrecciato. It is accented by black seams and a brunito-finish clip and small logo tag. The design can be monogrammed with up to three letters for a personal touch.